Here we designed this Golden Triangle package for first-time travelers to Turkey who will have the chance to splurge it with the luxury 3-day gulet cruise charter at the end of the trip before flying back home. Welcome to the breathtaking city that spans two continents. Your representative will meet you and transfer to your hotel. Overnight in Istanbul at The House Vault Karakoy or similar. Visit the old town (UNESCO World Heritage-1985) and see the Hippodrome area; the Egyptian obelisk, the Serpent Column; incredible Basilica Cistern, Blue Mosque that is famous for its magnificent interior blue tiles and the world-famous Hagia Sophia. Close the day with a visit to Grand Bazaar. Morning visit to Topkapi Palace and the Harem. 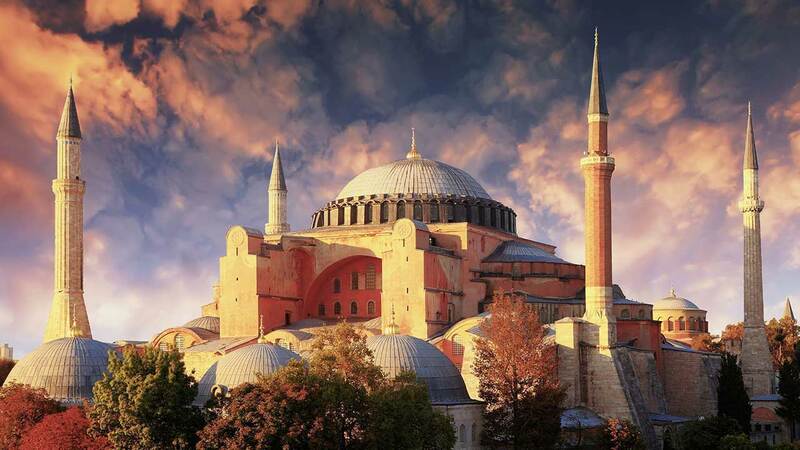 Visit the famous Chora Church which houses some of the world's finest Byzantine mosaics and it will continue with a visit to the world-famous Spice Market to experience many colors and unique fragrant atmosphere. Take the afternoon Bosphorus Cruise and enjoy the outstanding scenery on both sides of the strait. 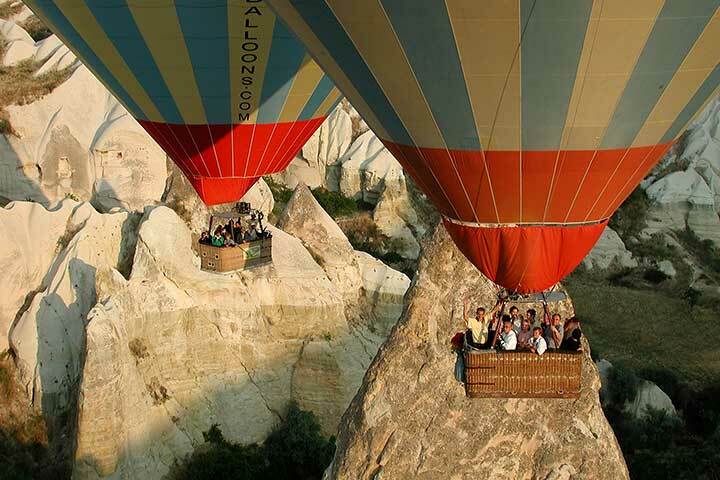 Early morning flight to Kayseri or Nevsehir Airport and proceed to Cappadocia. Visit a stunning underground city and continue to Avanos to visit a pottery atelier to see the traditional art practiced with the material supplied by Kizilirmak River (Halys). Arrive at your hotel for overnight at Argos or Esbelli Evi. Hot-air ballooning early in the morning and explore the surreal landscape while learning the significance of the region in early Christian theology and missions of St. Paul. See the rock-cut churches in Goreme Open Air Museum (UNESCO World Heritage -1985), the natural fortress in Uchisar town, old Zelve, natural formations in Pasabag and enjoy panorama stops at the scenic valleys. End the day with some more photo stops of spectacular views. Today's highlight is Ephesus; the capital of Asia Minor. 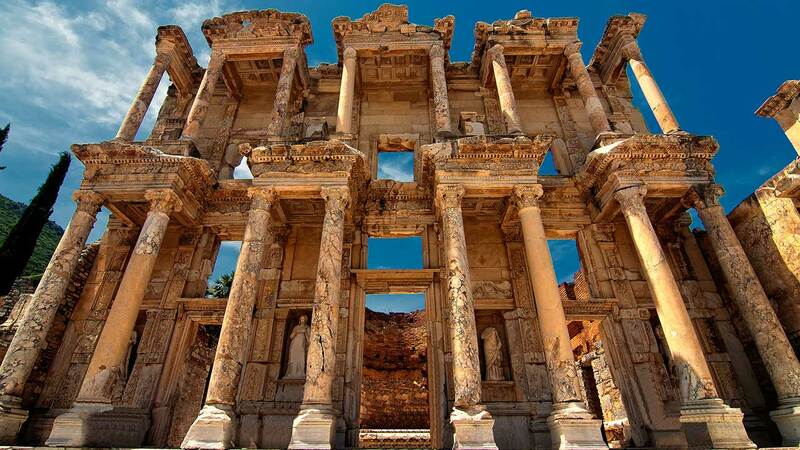 See the renowned Celsus Library, Temple of Hadrian, fascinating Terrace Houses and the site of Temple of Artemis, one of the seven wonders. Visit the Ephesus Museum in Selcuk and Basilica of St. John. Close the day with a memorable visit to House of Virgin Mary. Return Kusadasi for overnight at Gullu Konak or similar. Visit Mausoleum of Halicarnassus, one of the Seven Wonders of the Ancient World and the Hellenistic theater. Optional visit to a rare place of interest; private Dibeklihan Art Village owned by an architect couple to see beauties of old and new times. Drive Marmaris to embark your gulet. Dinner and overnight on board. Cruise to Ekincik Bay and a take a local boat to Caretta Beach National Park and wildlife preservation area. The wind through the magnificent natural canals of Dalyan, see the Lycian rock tombs on the way to the Mud Baths (optional), visit ancient Caunos and return to your gulet for dinner and overnight in Ekincik. Early cruise to Tersane Island, it's possible to be accompanied by playful dolphins. Later in the day see the remains of a Greco-Roman shipyard on the beach. Rest of the day is spent at small bays and islands swimming or snorkeling, sunbathing or reading in absolute tranquility on board. Dinner and overnight on board. 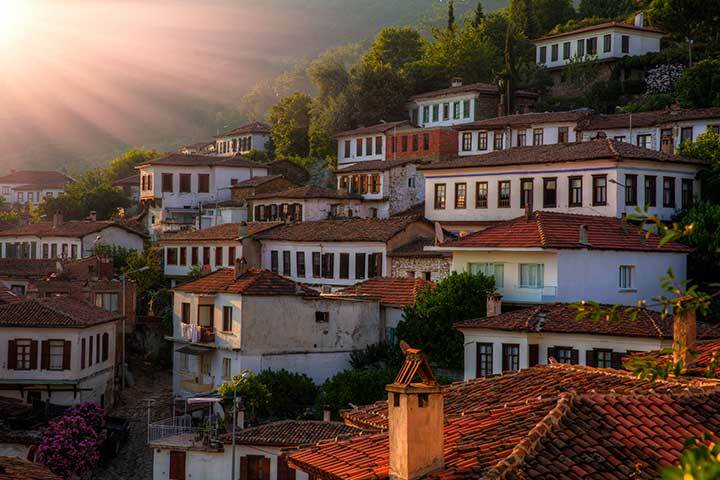 Arrive Fethiye Port in the morning and take a land tour to ancient Lycian city Tlos. Optional tour: Saklikent, the 2nd longest gorge in Europe (total 20 km) for a hike of about 2 km. Fish lunch on the water by the gorge. Fabulous picture opportunities all day long. Return to the gulet for dinner and overnight. DAY 11 - DISEMBARK AND PRIVATE TRANSFER TO AIRPORT FOR FLIGHT BACK HOME VIA ISTANBUL. Other destinations and more days can be added as on any other itineraries.